What should you download after you install YouTube, Instagram, Facebook, and Snapchat? You just got a new iPhone, you’re done setting it up, and it’s time to hit the App Store. Which apps should you download to really make your iPhone great? Obviously, there are the go-to standards that nearly everyone seems to have on their phone. Facebook, Twitter, YouTube, Instagram, maybe Netflix or Amazon…you don’t need a list of suggestions to tell you about those household names. If you’re new to iPhone, or just looking to find some new favorite apps, you should also consider these ten gotta-have-it suggestions. One of iOS 12's best features is an app you download from the App Store. It’s weird that Apple touted the Shortcuts app as one of the key features of iOS 12, but doesn’t install it by default. You have to go to the App Store to grab it. 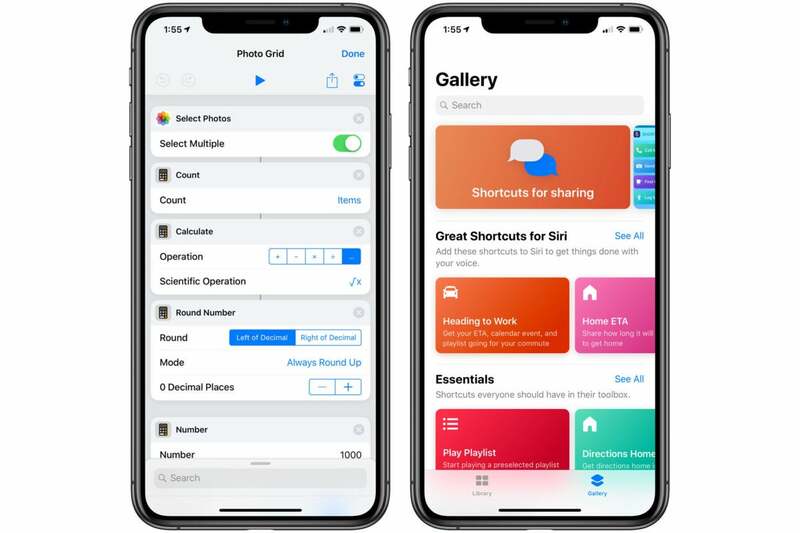 The Shortcuts app lets you create pre-programmed sequences of actions using the built-in functions of your phone and supported apps, and then trigger them with a custom Siri phrase or the tap of a button. You can even add shortcuts as icons on your home screen. You don’t have to make your own shortcuts, either. There’s a big gallery of user-made actions to get you started. Check our list of some of our favorite shortcuts for awesome ideas. If you don't get 1Password, at least get some password manager. If you don’t have a password manager, get one. Password managers make it easy to practice good password habits, like using long and complex passwords that are unique to every service and site. With iOS 12, Apple made password managers even better—they can automatically fill in passwords and forms in more places, including in apps, and you can authenticate with Face ID or Touch ID. 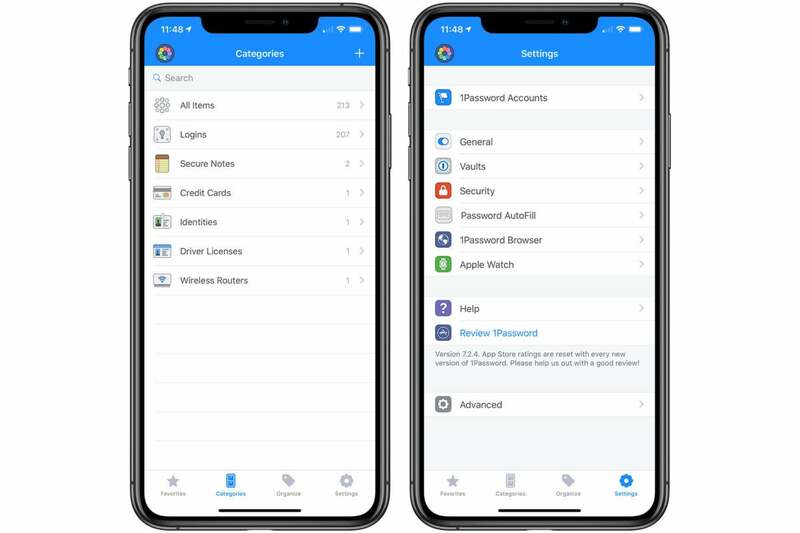 1Password is one of the best password managers around, with great support on multiple platforms and a very reasonable price (there’s a 30-day free trial, then it’s $3.99 per month or $6.99 for a family of five). Carrot Weather is a weather app so good it's actually worth paying for. Pay actual money? 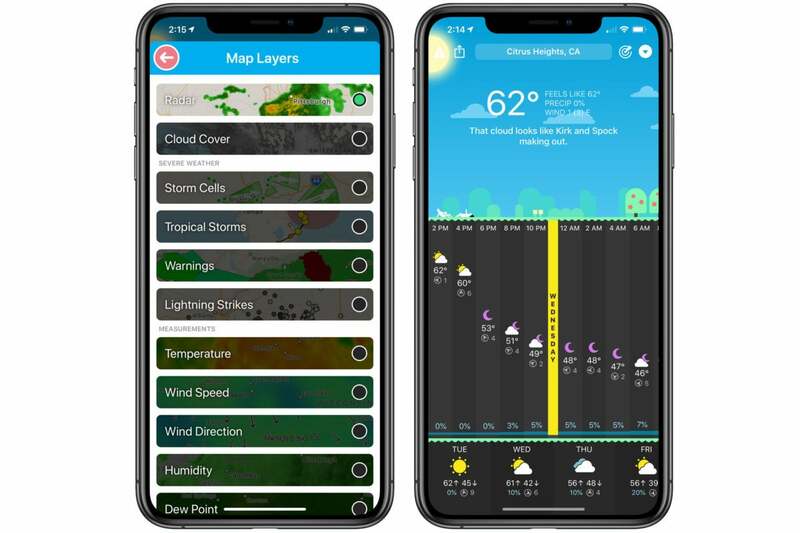 For a weather app? But you already have a weather app on your iPhone! And other apps are free! Sometimes quality is worth paying for. If you’re the kind of person who checks the weather on your phone almost every day, Carrot Weather is well worth the cost. It’s fast, well-designed, and packed with features and customization options. There are multiple Apple Watch complications, a home screen widget, and a fun iMessage app. To really unlock its full potential, you have to subscribe to the Premium Club, but that’s cheap: only about $2.99 per year. It’s meant to cover the cost of API access to various weather sources. Did I mention you can choose from multiple different weather data sources? Or that it has awesome weather maps with lots of layers? Or that it’s ad-free? Or that a snarky AI voice will speak to you? If you care about podcasts at all, you should check out Overcast. Apple has its own Podcasts app installed by default, but it’s pretty bare-bones. If you enjoy listening to podcasts, or want to get into them, you should check out Overcast instead. It has a nicer interface and a whole bunch of useful features like voice boost and playback speed adjustment. It supports Apple Watch (with standalone playback) and CarPlay, and has nice rich notifications, too. 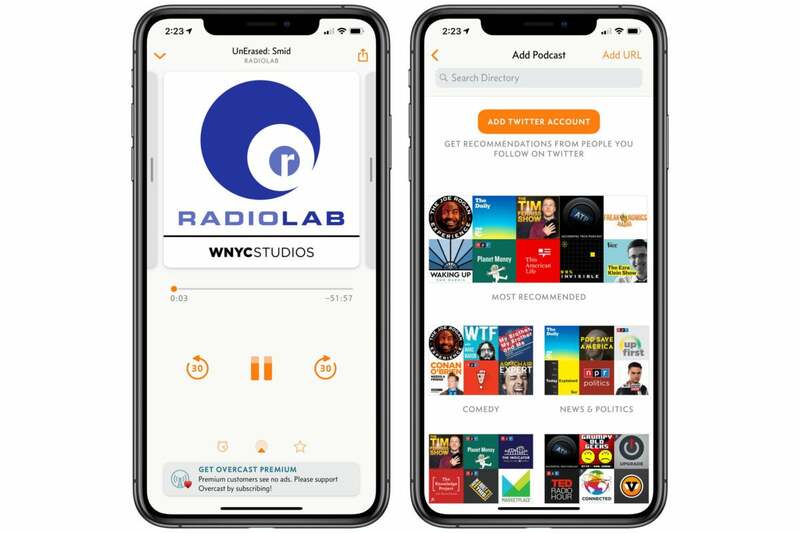 Overcast is a free ad-supported app, but you can eliminate ads with a $9.99-per-year subscription. 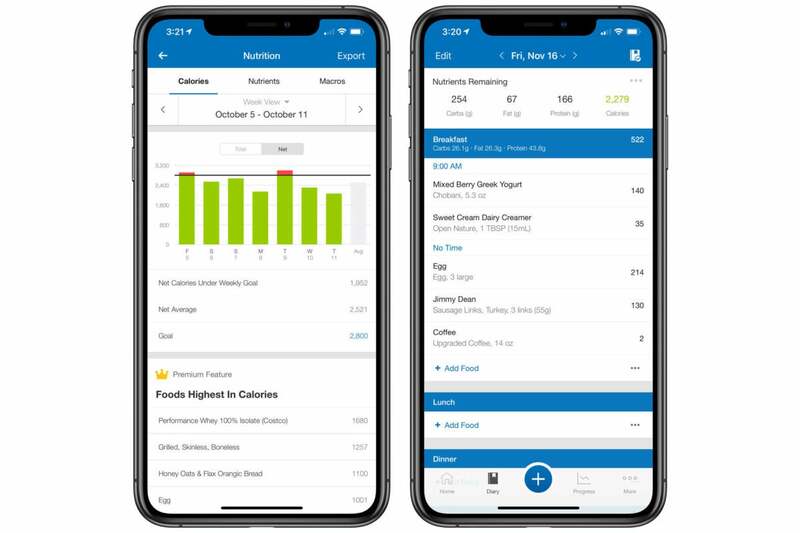 MyFitnessPal makes it easy to track your calories and nutrients—the most important part of getting in shape. Whether you’re trying to lose weight, get in shape, or just live a healthier life, the one thing that has been proven to work time and again is keeping a food journal. Counting calories and nutrients is a huge pain, but MyFitnessPal makes it easy. It has a huge database of common foods and you can just scan the barcode of almost any packaged food item to add it to your daily count. You can do all this with the free ad-supported app, but a $9.99 per month Premium subscription kills the ads and gives you lots of control over custom macronutrient goals and historical analysis of your eating habits. This is the most full-featured and easy-to-use app we’ve found for keeping track of your diet. And keeping track of what you eat and drink is the first and most effective step toward being healthier. Halide makes it easy to take your iPhone photography to the next level. The built-in Camera app gets the job done, but when you’re ready to move beyond it, we suggest Halide Camera. It has lots of features that serious photographers will love, like focus peaking, live histogram, and RAW image capture. On the iPhone X series phones, you get fine control over portrait mode, including a nifty augmented reality point-cloud visualization that helps you understand the depth your camera captures. For all its impressive features, Halide remains simple and elegant, with easy one-hand operation. 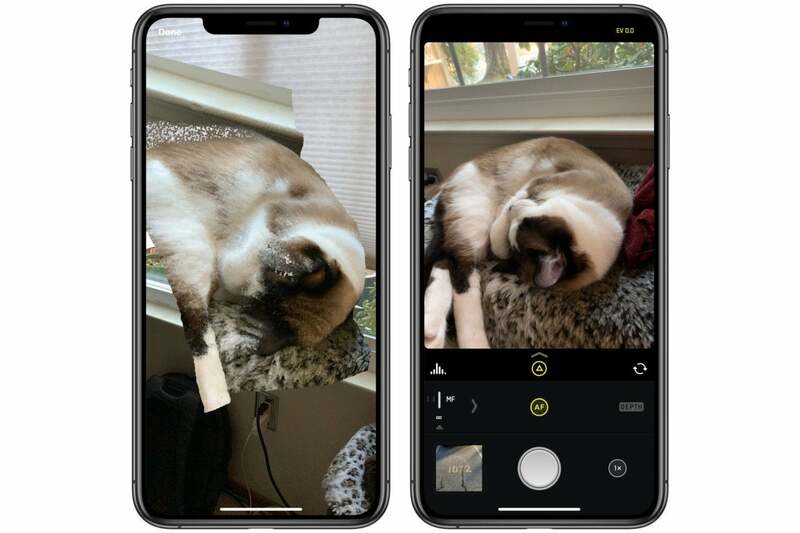 There are several great third-party camera apps for iPhone, but Halide should be the first one you try. You'd be surprised how often you might use a really well-made recorder app. You would never guess how useful it is to have an app that turns your iPhone into an audio recorder. That might seem like the sort of app that’s so simple, you should never pay for it, but you’d be wrong. But Just Press Record justifies its $5 price with fantastic performance and stability, a slew of useful features, and a clean ad-free interface. It creates high quality recordings and syncs them to the cloud (if you want). 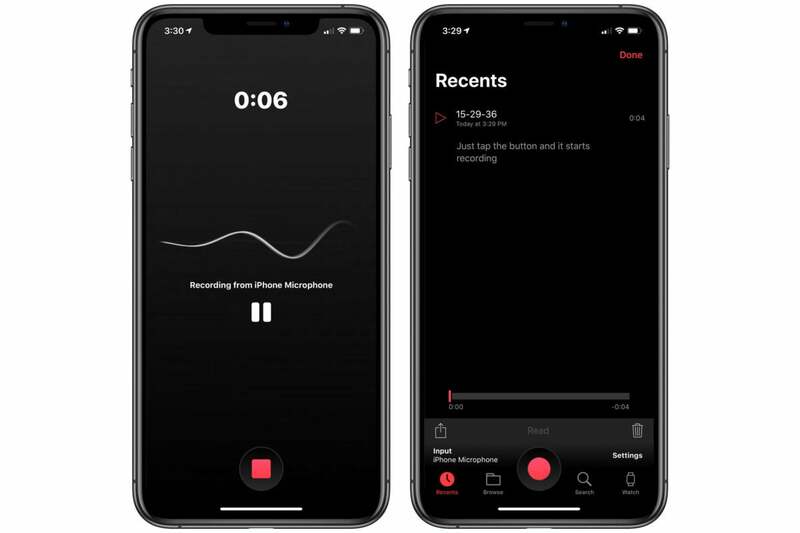 You can record from your iPhone microphone AirPods, or external sources, and tweak recording settings if you really know what you’re doing. It’s got a nice dark mode, and really excellent Apple Watch support. Best of all, your recordings can be quickly and automatically transcribed, with support for over 30 languages. Whether you’re recording and transcribing interviews or just making audio notes, the speed, quality, and versatility of Just Press Record comes in surprisingly handy. The simple appearance of Things belies its power and utility. 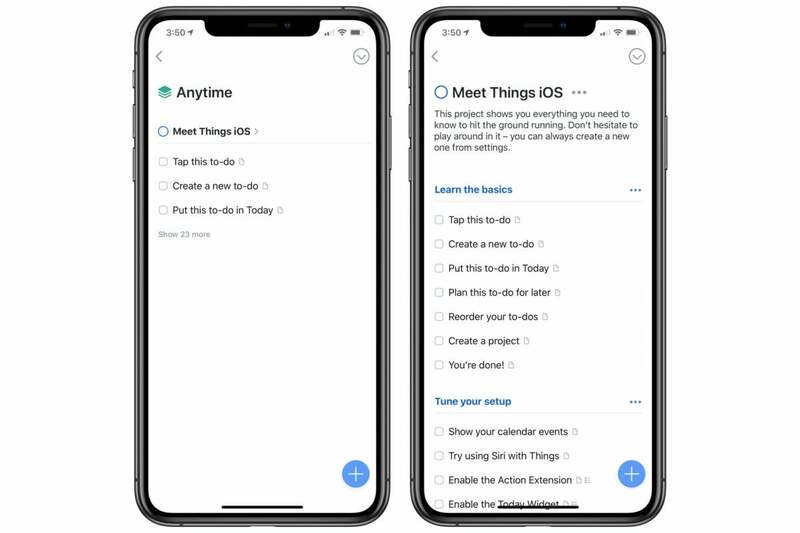 Things is a task manager par excellence. If you’re trying to get your life in order and stay on task, you’ll fall in love with its clean and clear design. In fact, Things won an App Store Editor’s Choice award and an Apple Design Award in 2017. It has the right balance of easy-to-use and powerful features. It’s the poster child for working well with all the technologies Apple builds into iOS: Handoff, Siri Shortcuts, dynamic Notifications, home screen widgets, 3D touch, you name it. Things makes it easy to keep on top of your obligations, chores, and tasks. If there’s a downside, it’s the price. At $9.99 for the iPhone and Apple Watch, Things is pretty pricey, and it only gets worse if you want to spread it to the rest of your Apple devices—the separate iPad version is $19.99 and the Mac version is $49.99! If you live in one of Citymapper's supported metro areas, it is a must-have transit app. There is no transit app as full-featured, powerful, and elegant as Citymapper. It pulls data from a bunch of transit agencies and creates a cohesive, unified, clear picture of how to get around the city. Know when that next train is coming. Figure out exactly how much it will cost to get you from point A to point B. Know exactly what stop to get off at, and even get a notification to remind you as you approach it. 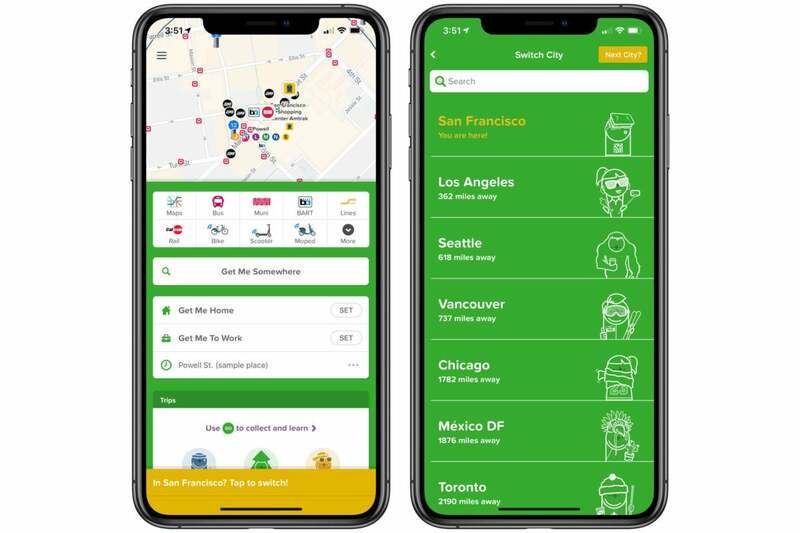 Citymapper combines busses, subways, trains, and even bike and scooter rental services. It’s a one-stop, all-inclusive city transit wonder app. However, it only works in about two dozen cities. If you live in (or will be visiting) Los Angeles, New York, San Francisco, Seattle, Chicago, or one of about 20 other major metros around the world, it’s an absolute life-saver. If not, there’s simply no point to it. 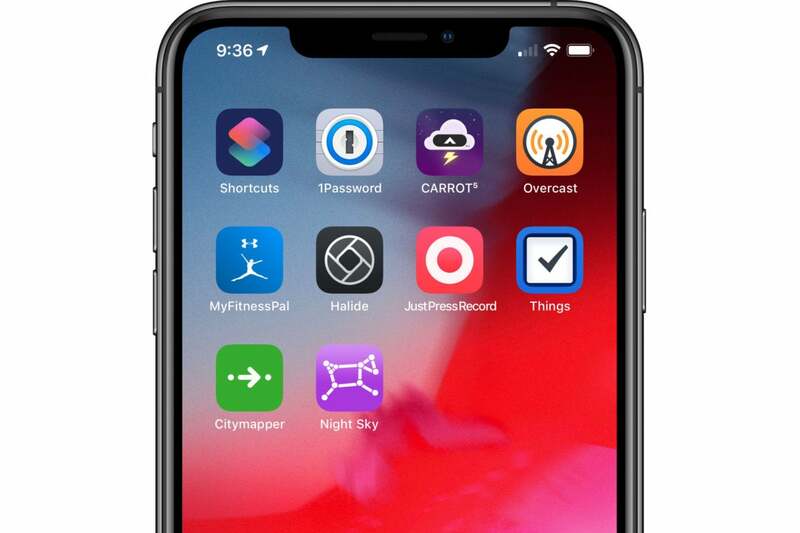 Night Sky is a great way to show off iPhone features like augmented reality and Siri Shortcuts. You don’t have to be an astronomy geek to love Night Sky. If you’ve ever looked up at night and wondered “what star or planet is that?”, you’re going to love this app. Of course, it allows you to point your phone at the sky and see a map of everything in the heavens. 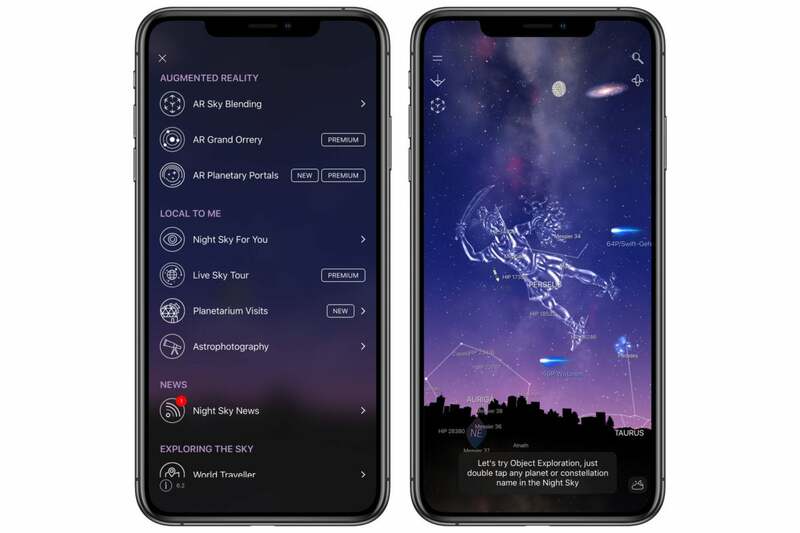 All the astronomy apps have done that for years now, but Night Sky expands on that with notifications about when to see your favorite stellar objects or events like meteor showers, a slick augmented reality viewer that lets you see the depth of constellations and 3D models of satellites, and grand Sky Tours. With Siri Shortcuts support, you can point your phone at a star (without even having the app open) and say “Hey Siri, what star is that?” and you’ll get a detailed card with the answer. It feels like the future!